Kayzol D 10mg/40mg Tablet is used in the treatment of acidity and heartburn. Take this medicine in the dose and duration as advised by your doctor. Swallow it as a whole. Do not chew, crush or break it. Kayzol D 10mg/40mg Tablet is to be taken empty stomach. Kayzol D 10mg/40mg Tablet is a combination of two medicines: Domperidone and Pantoprazole. Domperidone is a prokinetic which works on the upper digestive tract to increase the movement of the stomach and intestines, allowing the food to move more easily through the stomach. Pantoprazole is a proton pump inhibitor (PPI) which works by reducing the amount of acid in the stomach which helps in the relief of acid-related indigestion and heartburn. It is unsafe to consume alcohol with Kayzol D 10mg/40mg Tablet. Taking a large amount of alcohol can increase acidity and cause acid reflux in the food pipe causing heartburn. This would decrease the effect of this drug and can aggravate your underlying condition. Kayzol D 10mg/40mg Tablet may be unsafe to use during pregnancy. Kayzol D 10mg/40mg Tablet should be used with caution during lactation. Breast feeding should be held until the treatment of the mother is completed and the drug is eliminated from her body. Kayzol D 10mg/40mg Tablet may make you feel dizzy, drowsy or affect your vision. Do not drive until your vision is clear. Kayzol D 10mg/40mg Tablet should be used with caution in patients with kidney disease. Dose adjustment of Kayzol D 10mg/40mg Tablet may be needed. Please consult your doctor. Kayzol D 10mg/40mg Tablet is probably safe to use in patients with liver disease. Limited data available suggests that dose adjustment of Kayzol D 10mg/40mg Tablet may not be needed in these patients. Please consult your doctor. You have been prescribed Kayzol D 10mg/40mg Tablet for the treatment of acidity and heartburn. Do you have any questions related to Kayzol D 10mg/40mg Tablet? Q. What is Kayzol D? Kayzol D is a combination of two medicines: Domperidone and Pantoprazole. 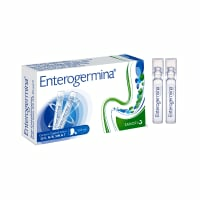 This combination is used to treat acidity, heartburn or Gastroesophageal Reflux Disease (GERD); a condition where the acid in the stomach flows back up into the food pipe (esophagus). 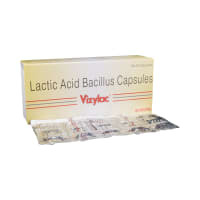 It is also used to treat gastric and duodenal ulcers. On the other hand, Domperidone helps to control vomiting. 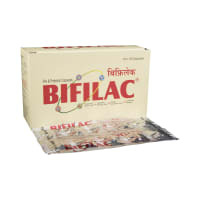 It increases the movement of the stomach and intestines which allows the food to move more easily through the stomach. Q. Is it safe to use Kayzol D? Kayzol D is safe for most of the patients. However, in some patients, it may cause common side effects like diarrhea, stomach pain, flatulence, dryness in the mouth, dizziness, headache, and other uncommon and rare side effects. 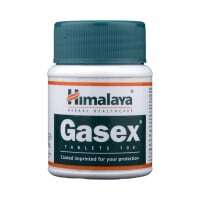 If you experience any persistent problem while taking this medication, inform your doctor. Q. Are there any specific contraindications associated with the use of Kayzol D? The use of Kayzol D is considered to be harmful for patients with a known hypersensitivity to pantoprazole or domperidone or any other inactive ingredients of the medicine. 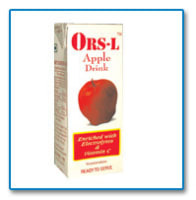 Caution is advised in patients with underlying kidney or liver disease. Q. Can the use of Kayzol D cause dry mouth? Yes, the use of Kayzol D can cause dry mouth. Dryness of mouth occurs due to Domperidone. If you experience dry mouth, drink plenty of water. Take regular sips of water during the day and keep some water on your bedside at night. Cut down the intake of alcohol and avoid smoking. If you have a dry mouth, try to use alcohol-free mouthwash as its use can increase the risk of tooth decay. Q. Can the use of Kayzol D cause diarrhea? Yes, the use of Kayzol D can cause diarrhea. In case, you experience diarrhea, drink plenty of water or other fluids by taking small frequent sips. Avoid taking fatty or fried foods along with this medication. Talk to your doctor if diarrhea persists and you notice signs of dehydration, like less urination with dark colored and strong-smelling urine. Q. What are the instructions for storage and disposal of Kayzol D? A-23, 487/36 Peerha Garhi, New Delhi. A licensed pharmacy from your nearest location will deliver Kayzol D 10mg/40mg Tablet. Once the pharmacy accepts your order, the details of the pharmacy will be shared with you. Acceptance of your order is based on the validity of your prescription and the availability of this medicine.